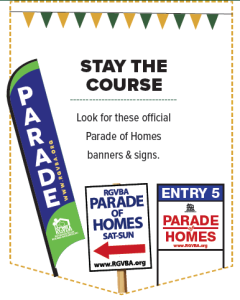 So what is the RGVBA Parade of Homes you may ask? 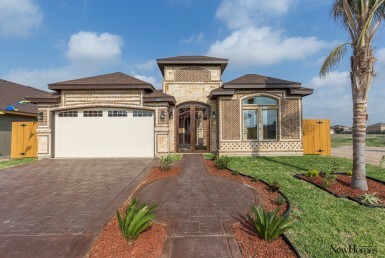 Well… it is not only one of the most attended yearly events here at the Rio Grande Valley, but it is also an incredible opportunity for New Home Shoppers to visit 27 beautifully-built new homes by some of the finest RGV builders. The Rio Grande Valley Builders Association has been organizing this event since 1983 and it’s only grown bigger and better since then. This is a family event for all ages and the best part is that it’s completely FREE. Yes FREE! Attendees may start their tour at any home and then go from there. And, guess what? Now you can plan your own route (at your own pace and convenience) by using the “RGVBA Parade” app available for Apple and Android users. Can’t wait to visit all these gorgeous, jaw-dropping, dream homes?? Neither can we! 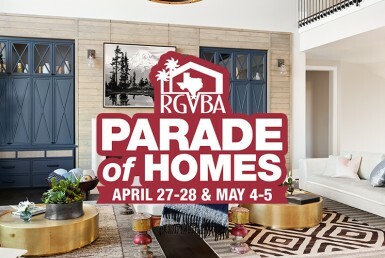 The 2018 RGVBA Parade of Homes will be taking place on April 28-29 & May 5-6. Homes will be open to the public from 10 a.m. to 6 p.m.
3) 🎟 Participate in the raffle of a 55 inch TV by filling out a ticket at any of the Parade entries. 5) 🚩 Remember to look for the official Parade Signs in front of the Parade Homes to find your way into the official homes! 6) 😉 Enjoy the Parade! This is an event that the Rio Grande Valley Builders Association brings to us for 2 weekends every year. So gather a group of friends or family members, plan your route, get some mocha frappes and cruise around the Valley making a stop at all 27 Parade entries. 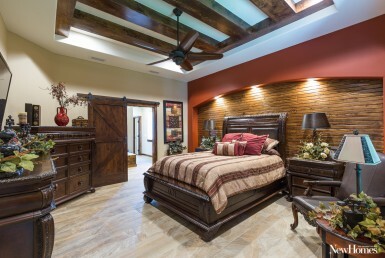 It’s time to stop staring at those Pinterest boards and come see the real thing brought to life at the 2018 RGVBA Parade of Homes!